My latest blog examines the concept of Irish ‘neutrality’ while US troops continue to pass through Shannon Airport without any inspections by the authorities. Last week we had the ludicrous situation in which two Irish TDs spent a total of three and a half hours in prison between them, for the ‘crime’ of trying to inspect US military aircraft at Shannon. It may have been dangerous for them to enter the runway, but it seems astounding that the authorities have no knowledge about what’s realy going on with the US warplanes. 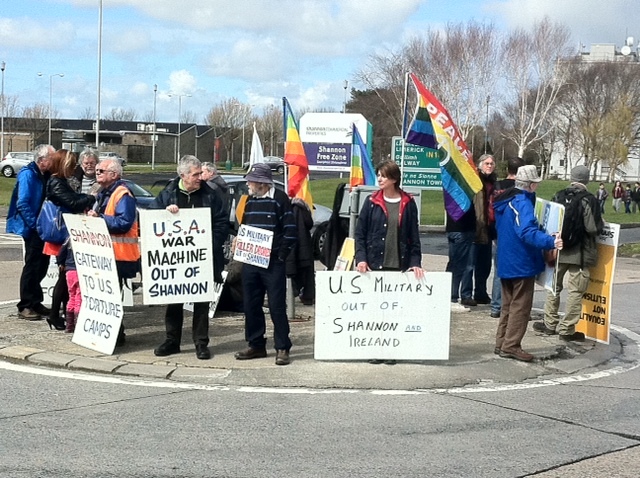 Some people claim that Ireland could be a target for terrorists because of the use of Shannon Airport by the US military on a regular basis.